Greetings friends and fellow crafters. LeeAnn here with a Fathers Day project that let me just say, I started it three times before finally coming up with a plan I really liked and wanted to share. One of these days I will have to do a bloopers post. SO, Fathers Day was just a couple days ago, however I will not see my son in law until today so it worked out perfect with timing. 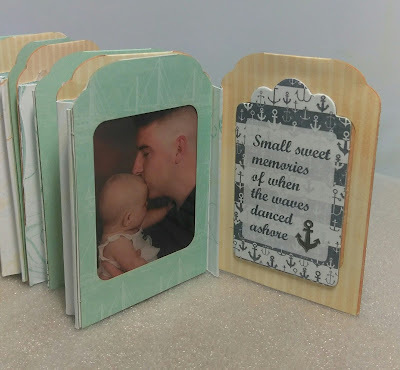 I used the Quick Quotes Club Q June Anchor's Aweigh Collection to make this project and now I really love it and have to make another for myself. What was really great about this project is it gave me the opportunity to use my Canon Selphy printer again, and I love doing that. 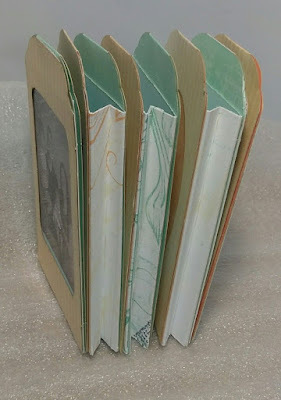 The first thing I did was grab all the pre-made tags from the kits, this made it easy to start as part of the work was complete. I do have tag dies so I could have made them myself, but hey... I'll do that for the next one. 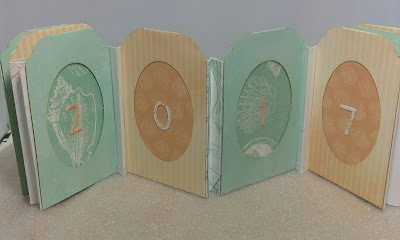 I then used Anchors Aweigh QQP-AW100 and cut 2 strips that were each 3 inches high and 12 inches long to serve as the backing for the tags. 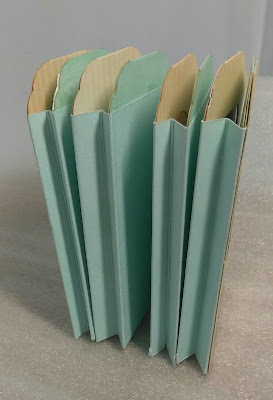 I liked this paper as it has the really pretty aqua blue on the one side and a pretty sea shore design on the other. 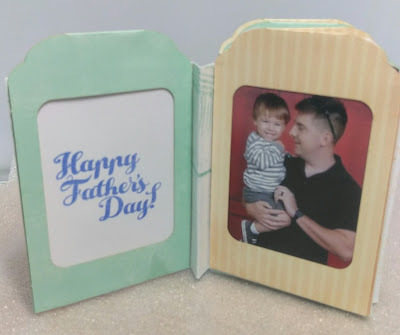 From there I grabbed my Joy Clair "Father's Day" stamp set and cut a white panel to put in the inside, and then stamped "Happy Father's Day" using Royal Blue Powderpuff Chalking Inks. I used a number die set to cut out the numbers 2017 and used my Xyron X to adhere them to the appropriate pages. 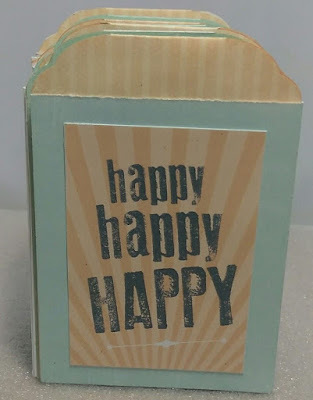 The chipboard sentiment is from AW802 Chipboard Set. The Happy Happy Happy sentiment is from the Anchors Aweigh QQP-AW500 sentiment sheet. 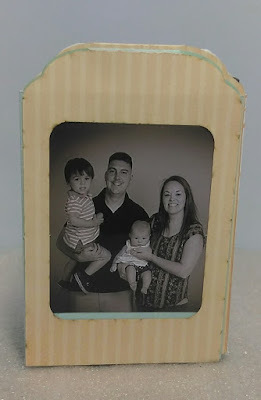 I hope you have all enjoyed this project, it was a fun one to make and hopefully my son in law will like it as well. 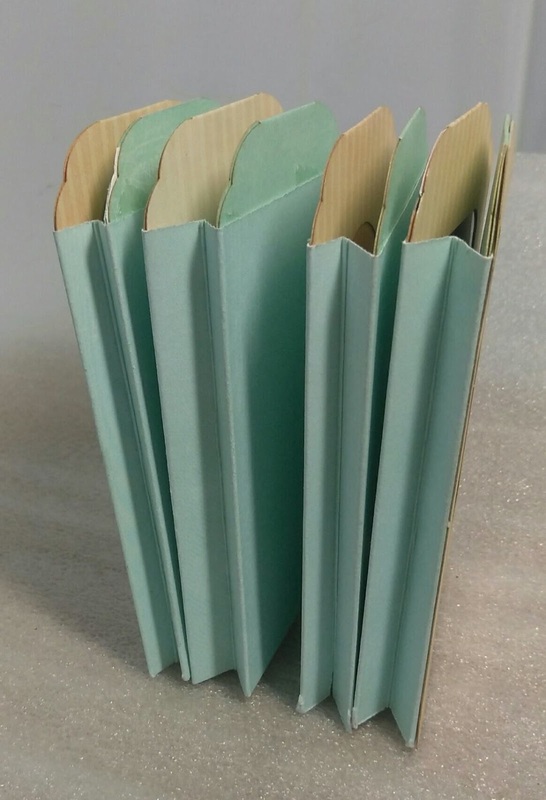 He is in the Coast Guard and this Nautical Themed paper is perfect for projects I can make for him. 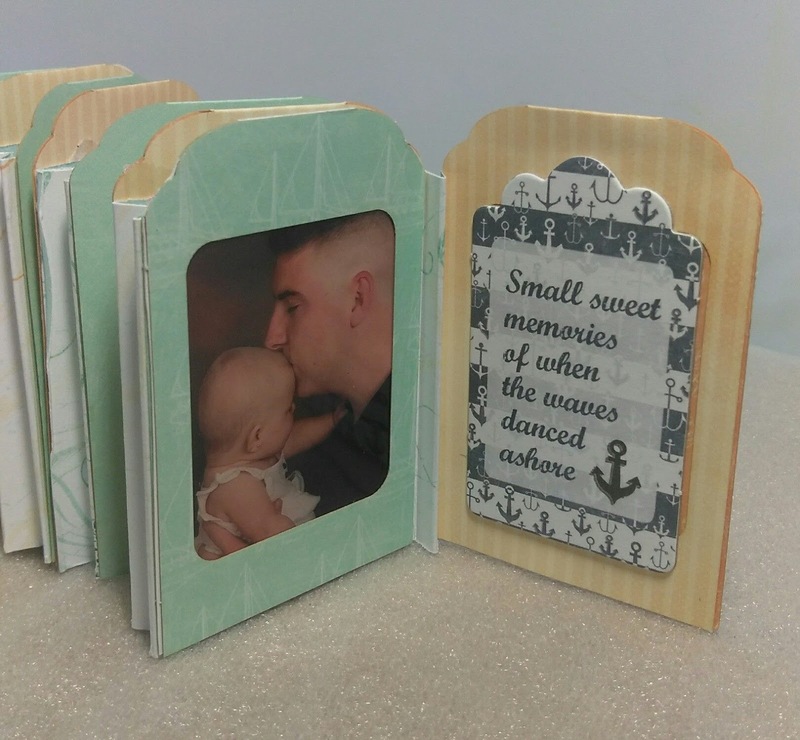 LeeAnn, what a clever idea, gift gift/card for Father's Day.